That’s a lot of players getting rolled to death. 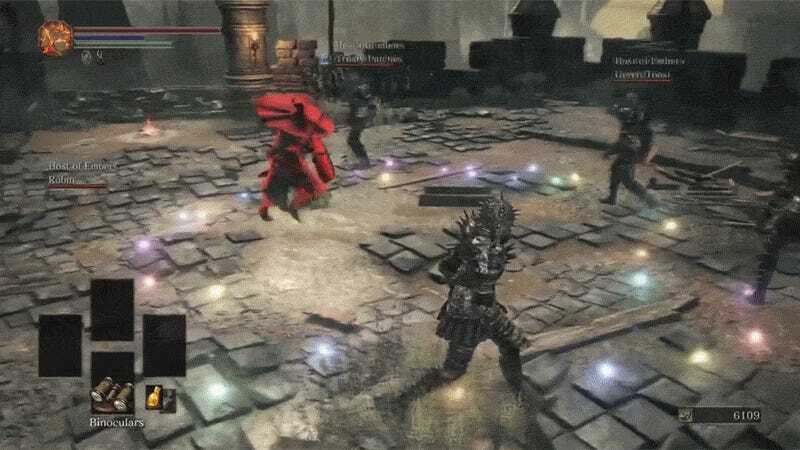 The “Armor of Thorns” is a special set in Dark Souls III, covered in thorns, that does damage when rolling into enemies. The damage is minimal, but not when a whole group of players are wearing it in 4v1 pvp. Iron Pineapple and his friends teamed up to troll some invaders only using this particular armor set and the result is a superbly edited clip (with spoilers! ).